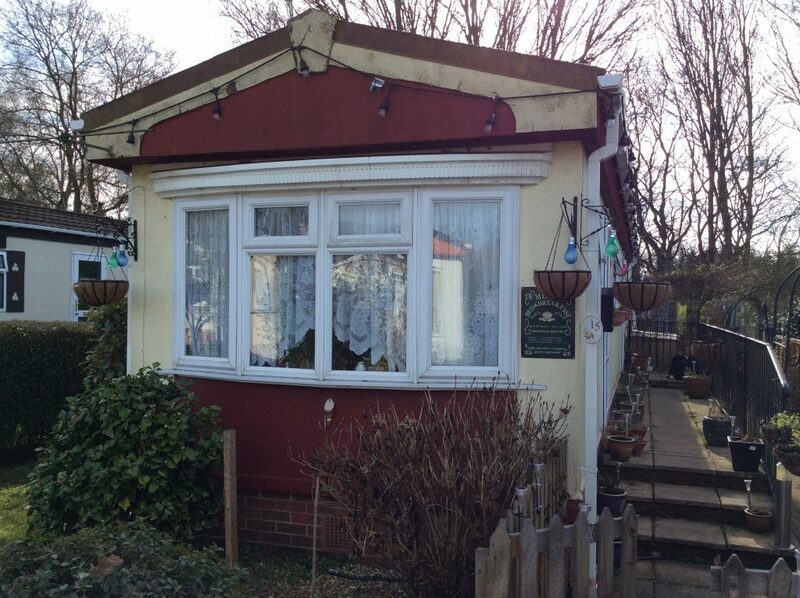 Work on this project commenced by removing the exterior ply and old insulation around the park home which had become damp and rotten. 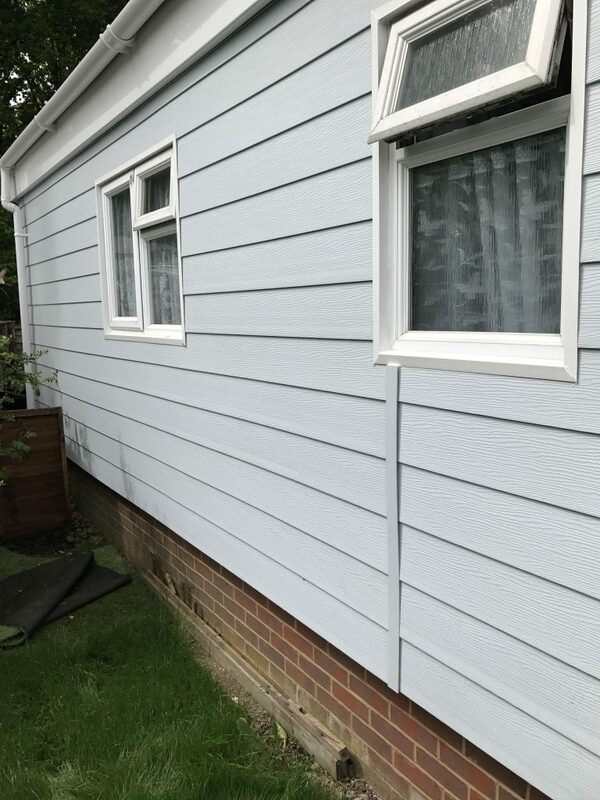 Where required new wooden battens were installed which held the 40mm insulation boards neatly in place, these were then covered with a high quality ply board that provided a flat, dry surface to install the cladding onto. 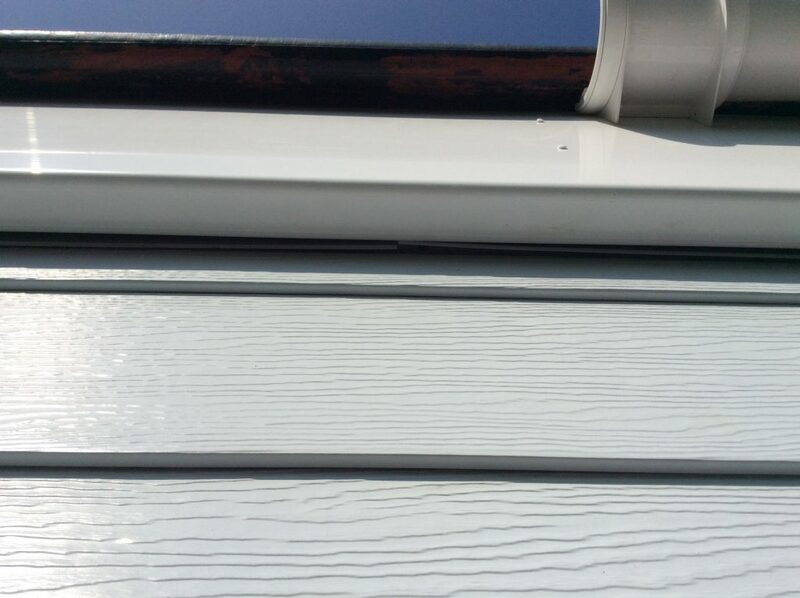 Before installing the cladding we applied a waterproof membrane to minimise the risk of future water ingress. 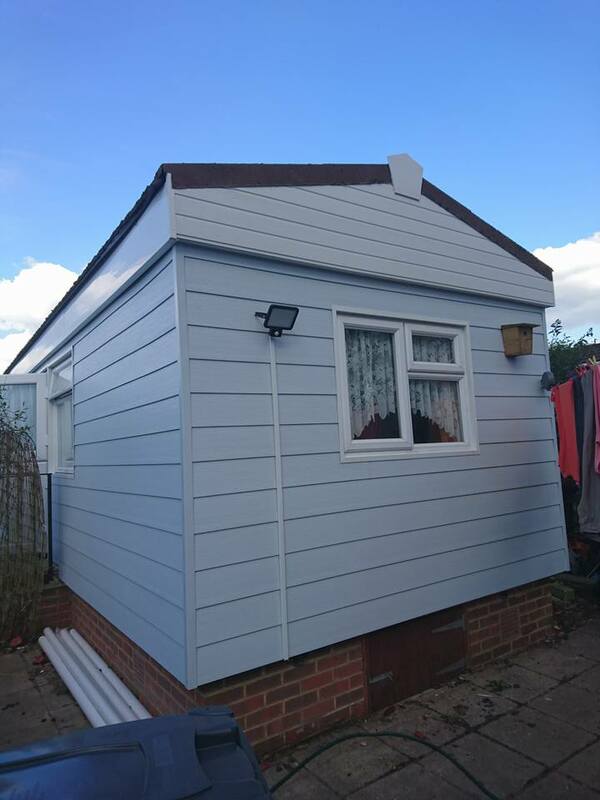 We could then install the Fortex cladding system in a modern pale blue. We had to be very careful when working around the boiler flue and also ensure the existing ventilation was kept in tact. 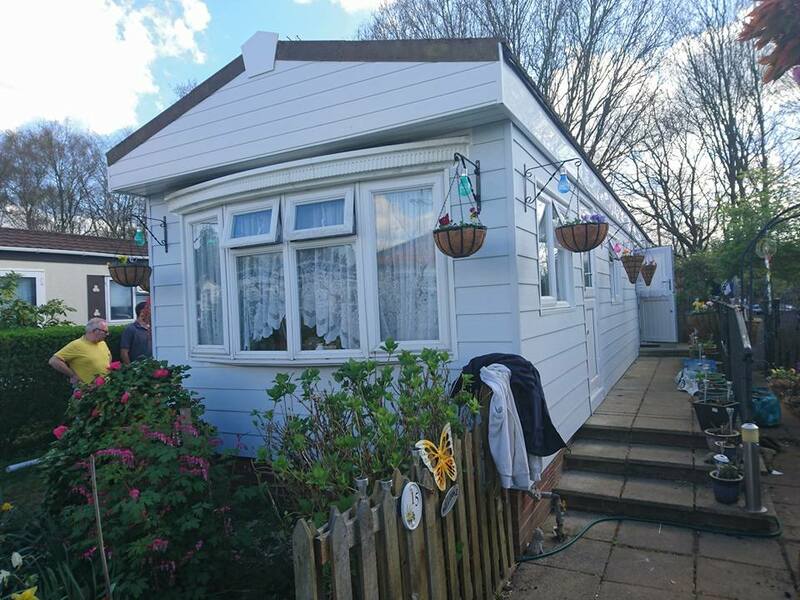 To finish the look we removed the old gutters and rotten wooden fascias to make way for new fascias, soffits and gutters that give the park home a clean, fresh and modern appeal. The photos really do speak for themselves. 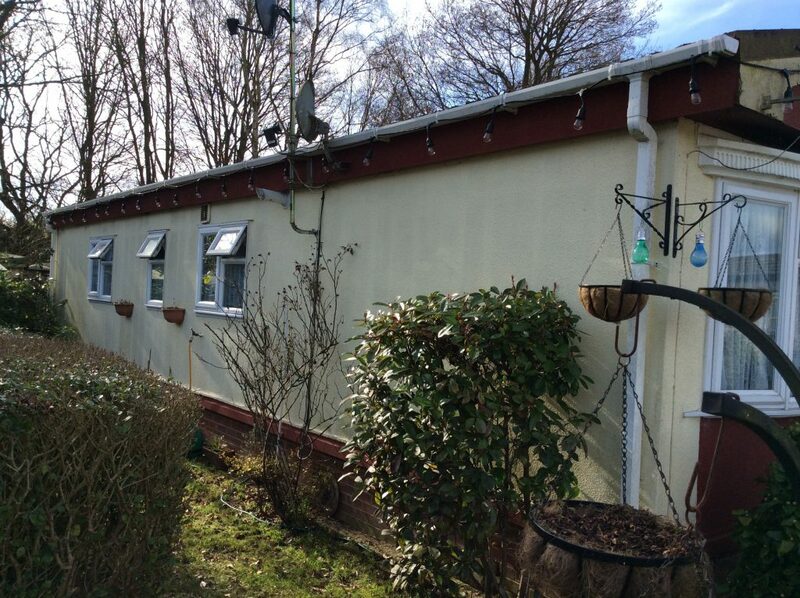 Prior to the new cladding the property was dark, damp and cold. 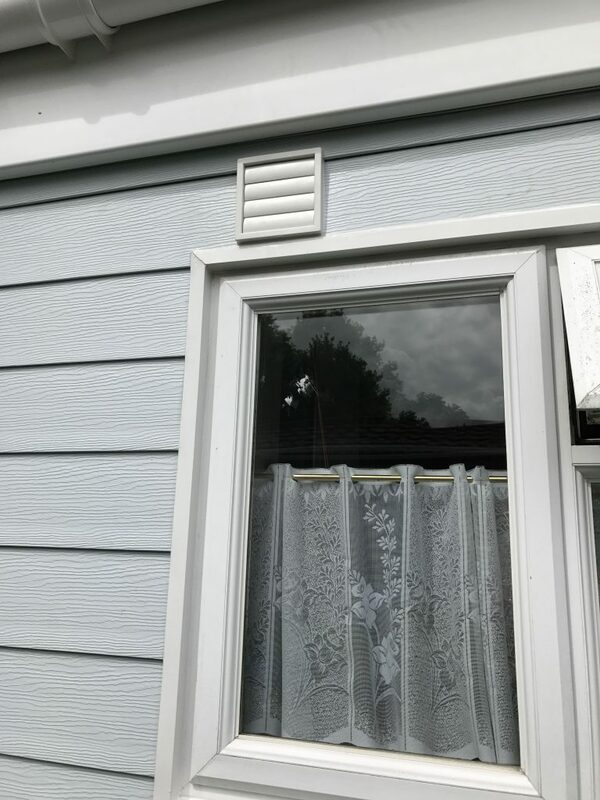 Now the home has a fresh new look, and the wall insulation will help Mr and Mrs Fuller become more energy efficient and hopefully turn down their thermostat! Read more about park home cladding or follow us on Facebook or Twitter for the latest offers, recent projects and park home ideas.